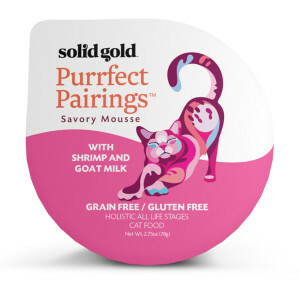 Their newest products for cats include two decadent new grain & gluten free wet foods. 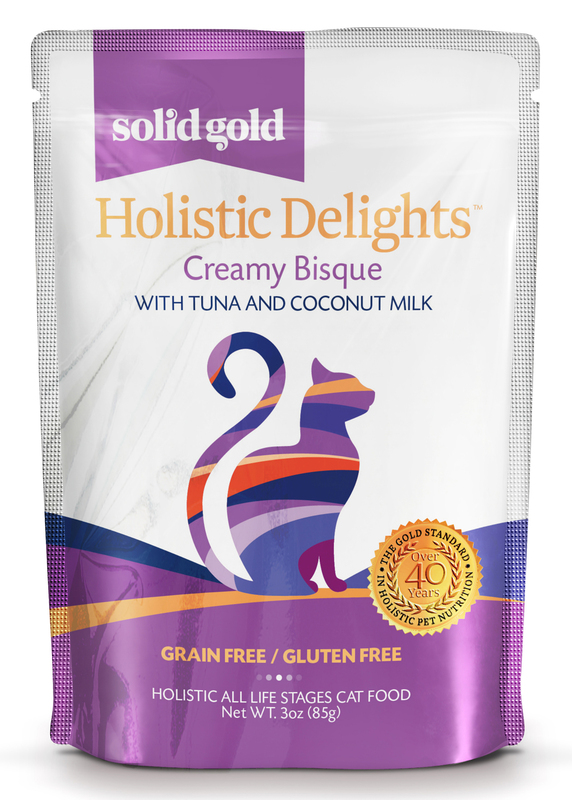 These products offer great nutrition and delightful textures for cats in people friendly packaging. We found both choices palatable to our shop cats and home cats. The mousse is nice and filling but fluffy – different from a heavier pate. The bisque is really creamy with real meat pieces like a thick stew. Both options seem like a great way to add a little extra moisture to a cats diet. Appropriate on their own, as an topping to dry food or served as a treat – these products are versatile and easy to use. 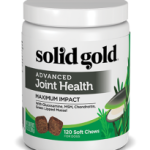 Both items look great on the shelf in their individualized packaging which is easy to place and to pull product from. 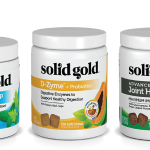 We think they have allot of potential to draw attention and beautify retail self-space, what a great new addition to the Solid Gold Menu!